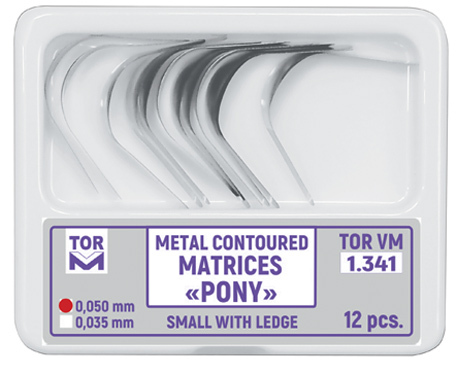 "Pony" metal contoured matrices small with ledge. There are matrices 0,035 and 0,050 mm thick. 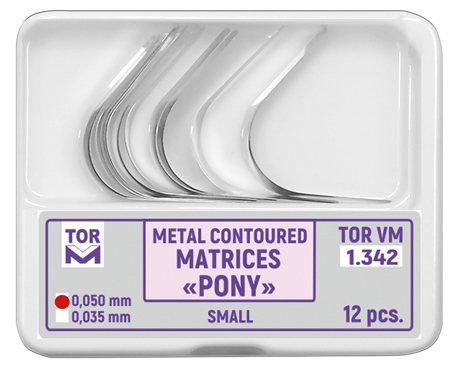 "Pony" metal contoured matrices small. 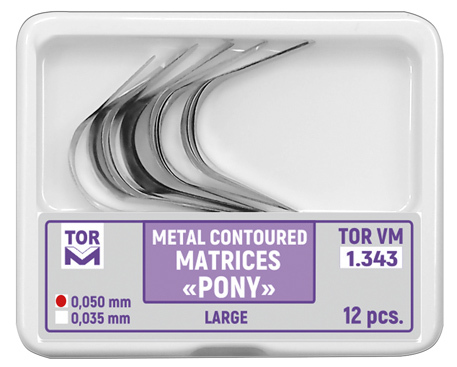 "Pony" metal contoured matrices large. 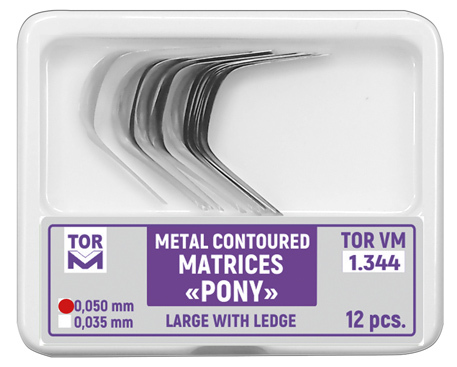 "Pony" metal contoured matrices large with ledge. 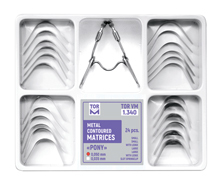 matrices N 1.341 - 6 pcs. 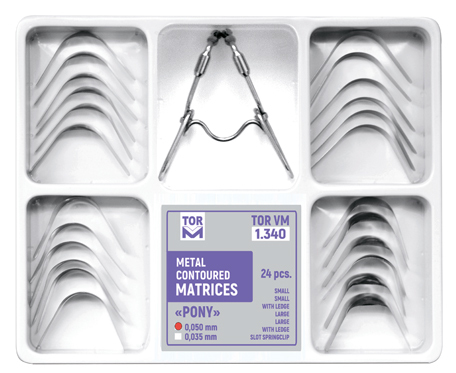 matrices N 1.342 - 6 pcs. 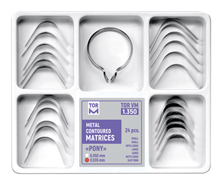 matrices N 1.343 - 6 pcs. 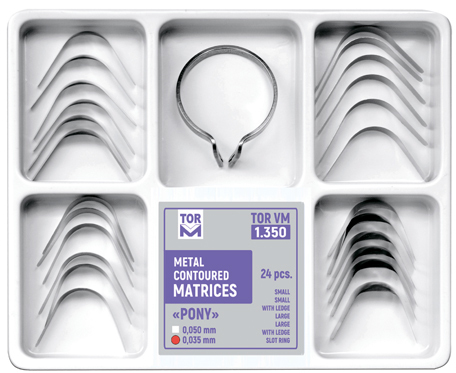 matrices N 1.344 - 6 pcs. 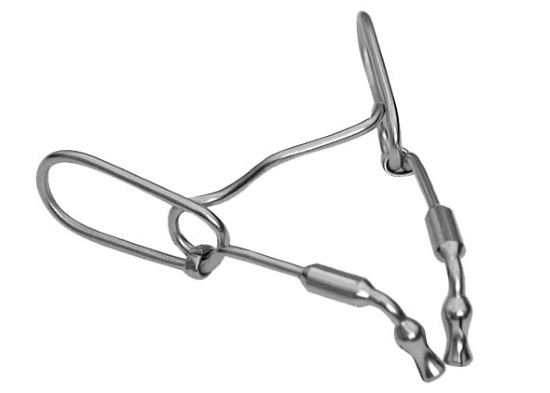 "Slot" springclip - 1 pc. "Slot" ring - 1 pc. 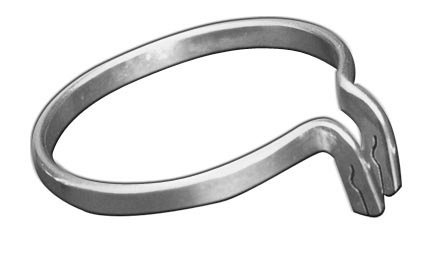 4) open the ring for necessary width outside the mouth before placing it on a tooth. 3) Perform standard moist heat / steam sterilization procedure following the sterilizer instructions. 2) Do not keep instruments in liquid medium for more than 3 hours.